Instructional Designers Produce– We create instructional materials. We make videos, we make guides, we produce training sessions and workshops. We bring content and learning materials to the audience as their needs require. If we don’t have the skills to do these things ourselves, we work with very skilled people to accomplish our design goals. Instructional Designers Coordinate– We connect people with the right content. We might not know everything, but we work with Subject Matter Experts and work hard at finding information that is needed to make instruction successful. Connecting people to their needs is exciting! 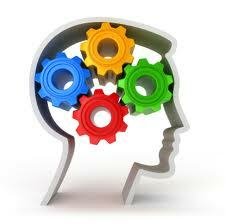 Instructional Designers Facilitate– We share ideas and instruction to make things easier for our learners. We facilitate learning so our audience can do their work better. Adults need to know why they need to learn something and how it benefits them. Making this transparent is the start to good Instructional Design. Learning should be about connecting to the content and then sharing your knowledge and interests with others. Adults learners need to interact with the content, demonstrate their use of the content, and share the content with others to help retain the learning. Designing instruction for hands-on practice and collaboration makes for intriguing and exciting training. Posted on August 16, 2013, in Instructional Design, Tausend Talks Shop and tagged Facilitate, Instructional Designer, ISD, Learning, Training. Bookmark the permalink. 1 Comment.